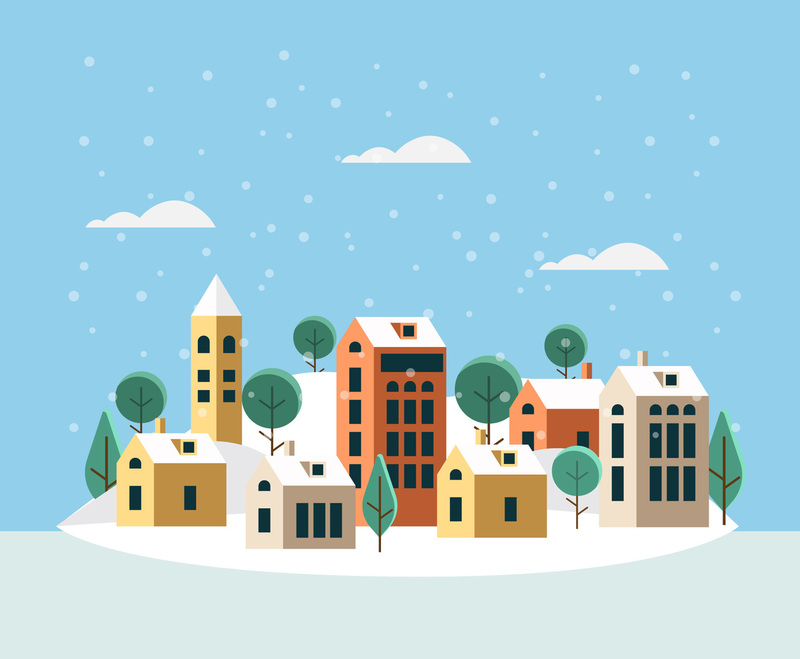 Vector illustration of small village. The buildings in the village are covered by snow. You can use this nice vector illustration as part of greeting card design or infography about holiday season.